Are You Becoming the Best Version of You? If you haven’t already done so, visit my prior articles “An Inside Look at Getting Started on Instagram” and “How to Market Effectively on Instagram” before you continue reading this. There are many key ideas you need to implement from these before you tackle the information here. The more you use the right #hashtags, the more your #hashtags will give you larger distribution. So, when adding a #hashtag on Instagram, it will tell you how many posts are associated with it. You want to use #hashtags that have hundreds of thousands to millions of posts associated with them because they’re going to allow you to have greater distribution; but, you also want to mix in #hashtags that have ten thousand to under one-hundred thousand posts for more visibility (less competition so that you are not lost and pushed down to where you are not found). Keep in mind to be creative in your #hashtag search, because Instagram does not like you using the same #hashtags over and over. You can even use the website displaypurposes.com to find search terms that relate to the kind of prospects you want to connect to on Instagram, common search terms that would be #hashtags commonly used and what people are looking for today. Go to the ‘Explore’ page and search not only for simple #hashtags but look for places, events and people that coincide with your focus and topics. Then look at person by person in that location for what they are posting. Look for pictures of board rooms, groups, conferences and events. You may even want to look up individuals in top industry conference events using #hashtags and comment on how well they did at the event. You don’t have to go to the event to see what they do and what they spoke about; just compliment the conversations and comments that are relatable. Establish a newfound connection and look them up on LinkedIn to start building another professional connection. If you get one post that’s getting 95% better results than other posts, Instagram will tell you this. Some people will do a promoted paid post with it, but you may want to wait until you grow a following. As a matter of fact, use that info to create more content similar to the post that did so well when starting out. Certain people like certain content, that’s it. The more time you spend interacting with others, the faster your account will grow. Remember, although in the beginning we want a great following to get exposure but keep in mind your whole intention is to build genuine relationships. Be diligent on your replies to the comments and likes shared on any of your posts. Take advantage of all the tools and features available on Instagram. The Instagram algorithm favors those using these features and tends to put you as the first face on Instagram if used properly. Your goal on Instagram is to get on the “Explore” page. So you may want to start posting live videos and Instagram stories to add more recognition for you and increase your visibility rate. Be sure to post more videos and promote Instagram on Facebook, Twitter, etc. to gain more traffic and followers. Keep in mind, if you have multiple Instagram accounts share only one to Facebook, Twitter, etc., because it takes all your accounts on Instagram and hits Facebook all at once with multiple posts, bombarding your target audience and giving the illusion of spamming. 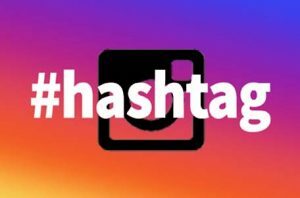 By now you should be familiar with and using the process of adding a minimum of ten #hashtags to your daily posts as well as searching for other people’s posts using a #hashtag search. The next step is to use what I like to call ‘the 10-10-10 rule’ that I use on Instagram as a daily habit to get exposure and generate interaction to attract people to you. Once you’ve posted your one to three posts that day you will want to go to your ‘Explore’ page. Search for ten #hashtags related to your niche (I cannot stress how important it is to search for relevant posts!!). A great way to find the ten #hashtags to search for is to use #hashtags you put in a prior post, preferably not the same day. Next, you’ll find the top ten posts for each of your #hashtags. Look at their profiles first. What are they posting? If they seem like someone whose values align with yours or whom you would want to be associated with, add a comment (minimum of five words) and like that post, and FOLLOW them if they have a huge following. If they have less than 10,000 you don’t necessarily have to follow them but you can still post to engage. When you do this you will add 100 new people per day whom you are following (10 #hashtags times 10 posts). You don’t want to post 100 comments all at once; but, break it up by doing 50 earlier in the day and another 50 later in the day (at least an hour apart). Do this every day and you will have followed 700 new people in a week. The goal is to get exposure to like-minded people and have them like, comment, and follow you. You will go through a process weekly of cleaning out (unfollowing) people who have not engaged with you or followed back or who may post content that you don’t agree with or detracts from your niche. I like doing this on Sundays; but, remember that you can unfollow a maximum of 200 people in an hour. Any more than that is frowned upon by Instagram. Instagram is a fluid entity and it is to be expected that you unfollow people as it keeps your Instagram from becoming convoluted; but, will also think that you’re spamming if you do it often thinking that you only are in it to gain numbers like an automated bot that systematically unfollows everyone for no reason. Remember, Instagram wants you to genuinely build relationships for you to grow organically and will reward you for your activity and for staying true to your subject matter. Once you’ve got these principles of growing on Instagram, partner with fellow creators. A great way to grow is by giving shout outs and partnering up with other people on Instagram (engagement groups is one way), especially those who have a larger following, to help pull you up on Instagram. 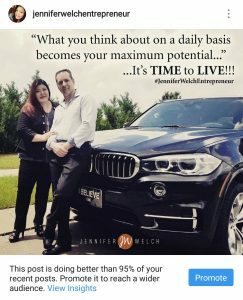 This should help you start seeing great results in your prospecting and marketing efforts on Instagram. If you found value in this topic, please like, comment, and share. It helps me provide the best subject matter to assist you with your needs. Thanks!! Thank you! I am learning so much, I even know what #Hashtag means now, LOL! 1 month ago by jenniferwelchentrepreneur In this industry people carve out a season and work in 90 day cycles. You can apply this to a 30 or 60 day goal as well; but, the general rule of thumb here is that you can knock out a huge goal in 90 days with the right planning, attitude, and ‘no-excuses’ mindset. . . . If you'd like to learn more, I provide great resources 'absolutely free' to help you crush it big in your industry. Be sure to read my blog at www.JenniferWelch.com and look for the "10 step checklist I use for a 90 day run"
I’ve led a huge organization that’s produced over five-million dollars in revenue working very part-time. I’ve developed leaders who’ve said ‘goodbye’ to their full time jobs. I’ve partnered with a few of the world’s foremost authorities in leadership and personal growth to help you grow to your full potential. I’ve won several paid vacations and have taken 20 trips this past year. I’ve received two luxury vehicles and have helped over 50 people on our team get one, too, in the last year. As a former medical professional, I found my purpose… empowering busy professionals to build a successful online business without sacrificing time and creating a 'well-thy' lifestyle! Are You Postured to Win? © Jennifer Welch. All Rights Reserved.